You're probably asking yourself "how did something like this happen to me?? I'm a good person, I drive a fuel efficient vehicle...how could I wind up in Cottonwood?" Calm down. First of all, that's offensive to people who live in Cottonwood or like going there. Second, if you'd get over your histrionics for a minute, you might find that Cottonwood is actually quite a nice little diversion and holds plenty of pleasant ways to spend your morning, afternoon, or day. Just try to stick to Old Town Cottonwood, which is off the beaten path from the Cottonwood you purposefully pass through traveling between Sedona and Jerome. 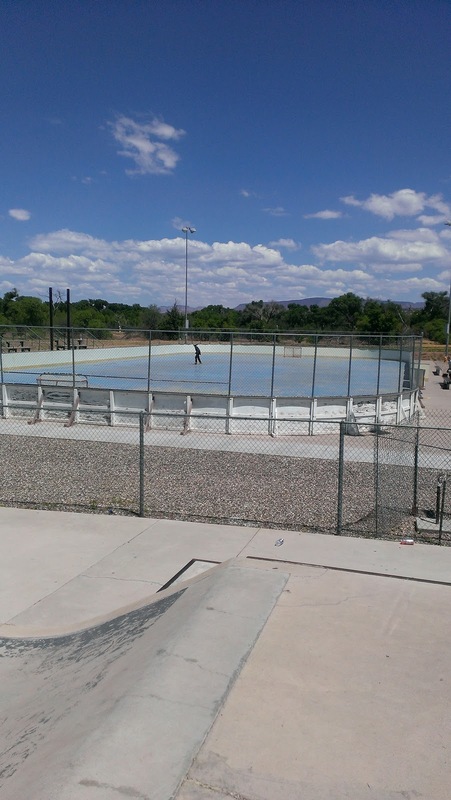 New Cottonwood, while perfect in its own rite, represents modern Small-Town-America and is mostly populated with strip malls and national names. Instead, follow the signs for Old Highway 89 until you get to Old Town. First of all...why are you in Cottonwood? Well, you could be passing through on the way to Jerome from Sedona. Perhaps you're camping at Dead Horse Ranch State Park (online reservations for camping improbably available). Maybe you are heading out for a ride on the Verde Canyon Railroad You could even be hopelessly lost. The gist is that Cottonwood isn't some out-of-the-way dump of a town, it's conveniently located in the midst of multiple Arizona attractions, and can even be a destination of its own. So you're here...now what? Crema Café has a nice patio from which you can plan your day. Grab an Americano, pull up getthefunout.com, and get out your Google Maps. 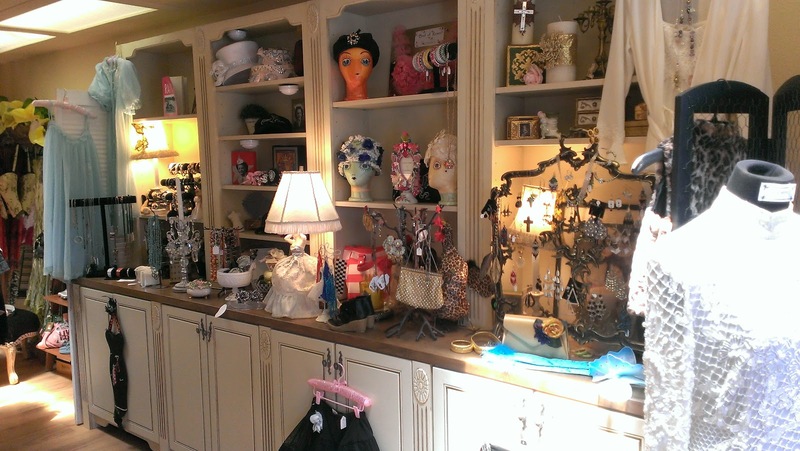 Old Town Cottonwood is a fantastic place to drop off the wife, mom, grandmother, aunt or anyone else who would stereotypically be interested in antiquing. Off the top of my head I can remember five antique and vintage stores (because I think 'antique' is actually a term of art meaning over 100 years old. I watch Antiques Roadshow...yes, I know...I'm properly ashamed of myself). Larry's Antiques & Things boasts two acres of antiques of its own. 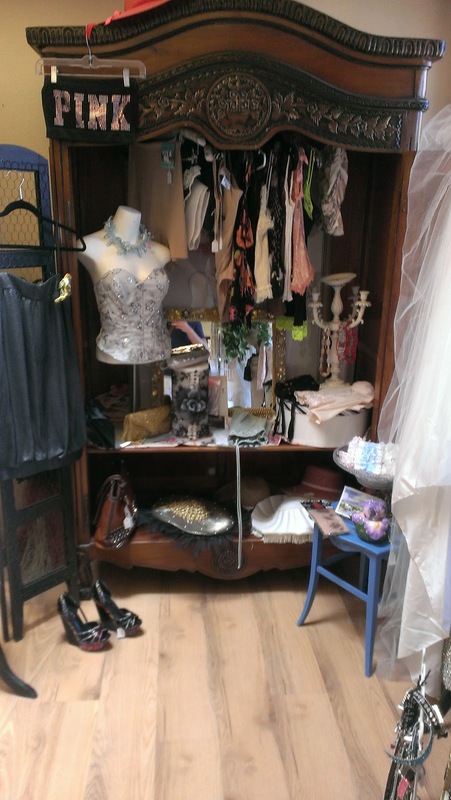 From there, meander down the street to The Red Geranium and Bee Bling for antiques and vintage clothing. 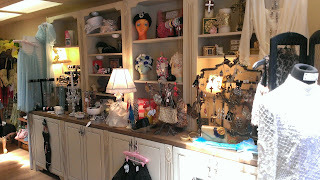 Then Mimi's Antiques & Art. After that, it's not far fetched to assume that this same group will also find the Rock Shop interesting. And when they're feeling a bit peckish after all that browsing, they can stop at the Wild Rose for "teas, sweets, and lots of treats". Also, "birding." Unclear on what that is, but I'm sure it's intriguing. If you really need some alone time, feel free to stay a half-hour longer, because they can kill some time at Ye Ole Hippe Emporium and Mother Sachi's. Plenty of Sedona-inspired items like crystals, rocks, tie-dyes, black-light posters, and such. 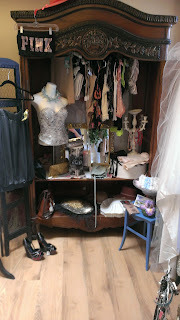 Antiquing not your thing? How about wine and food? 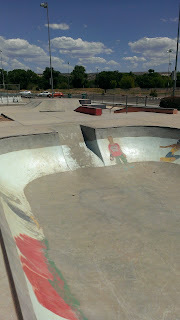 An inspired person could make a quite passable gastro-tour in Cottonwood. Starting at Rendezvous in Old Town, then working toward the Thai restaurant behind Larry's Antiques, Red Rooster Café, Nick's Steak & Crab House, Kactus Kates, Vineyard Bistro, Crema Café (yup, full bar), and The Tavern Grille (not to mention the two or three wine tasting rooms), you can quite easily make a day of gluttony and leave with your stomach satisfied and head swimming. 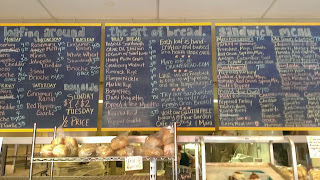 OR, hit Orion Bakery on a Sunday for $1-$2 loafs of bread. Want to go a little more family friendly? Sure, lets do that. 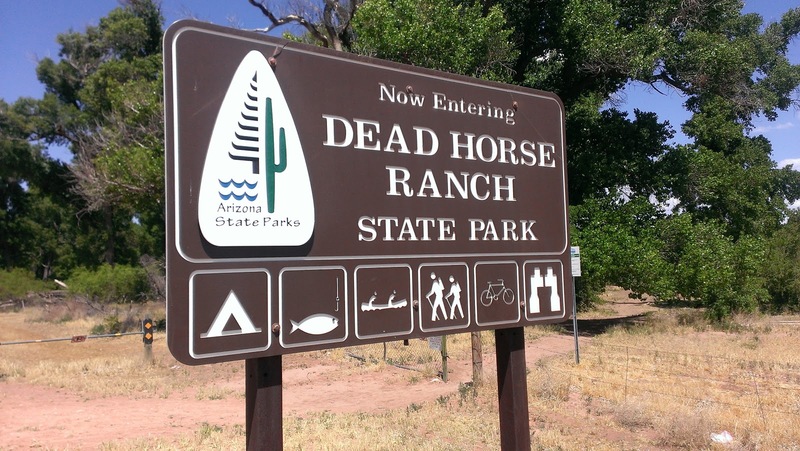 Dead Horse Ranch and Riverfront Park are probably the places for you. Riverfront Park is surprisingly awesome. 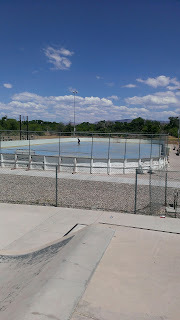 It has an outdoor rollerskating/blading rink complete with hockey nets, an adjacent skate park, baseball fields, a soccer field, playground, and dog park. There are picnic areas, and access to the river. There is one of the coolest Frisbee golf courses I have encountered that plays through the woods along the river...honestly, it's so cool that I wouldn't even judge you for playing Frisbee golf! (the Frisbee golf course start and parking area is about 100 yards past the Riverfront Park entrance across from the large sign for Dead Horse Ranch...also, this is a hang glider landing zone, which could be cool to watch). Dead Horse Ranch State Park has an entrance fee, so I skipped actually going in because I didn't have the time to make it worthwhile, but according to its sign, entrants can camp, fish, paddle, hike, bike, wildlife watch, and so forth. Entrance was $7/car, but check the website for current rates. The lagoons are stocked with catfish, and the website shows an angler with a MASSIVE bass. Free Fishing Day is a thing, so look at the website for that info too...no admission charge to the Park, no fishing license needed, and they'll even spot you bait and tackle. You can make a night of it and throw up a tent, or if tents aren't your thing camping cabins are available. Fishing and paddling are a predominate theme for the Cottonwood area, here's a little info from Tripadvisor. Driving in from the I-17, I passed at least 5 signs noting water access for kayaks/canoes. In addition to the standard scenic/outdoorsy paddling, it's possible to take a Verde River wine tour and paddle up to the vineyards along the water. Sedona Adventure Tours will lead you on just such a tour, if you need leading that is. There's even a Verde River Canoe Challenge annually at the end of March put on by NAU; Google it for current info. I was hoping to have information on kayak/canoe rental in the area, but couldn't find anything in a cursory search. If you want to venture out of Cottonwood, Out of Africa Wildlife Park and Alcantara Vineyard are both short drives back toward the 17, as is Cliff Castle Casino. Jerome is a short drive up the mountain, and Sedona is about 30 minutes east. That's all I've got for Cottonwood. Hopefully this helped make your experience enjoyable or put the town on your radar as a place to visit. I learned a lot from my day there and am actually now more of a fan of Cottonwood than ever before. I'll be back to stay at Dead Horse Ranch and catch a bass the size of my thigh. Here are some parting images (would liked to have had more, but am having issues uploading).